Murrayfield Racers have confirmed they will be staying in the Scottish National League - for now. 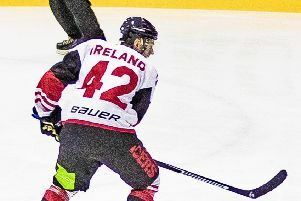 The Capital outfit, on course for an unbeaten season in all competitions across the SNL, had been widely tipped to take a step up in class and enrol in the UK-wide - but predominantly English-based - National Ice Hockey League for the 2019-20 campaign. Speaking ahead of tomorrow’s play-off quarter final tie with Solway Stingrays at Murrayfield, Racers director Willie Dunn, who, along with Dundee Comets chairman Rab Brown, attended a meeting with all NIHL member clubs last week, said: “We’ve enjoyed being in the SNL. I think the standard is a lot better than some people had thought, and the top end of the league is particularly competitive. We have a lot of young Scottish players who are also working, and long journeys back from England on a Sunday night aren’t good for them. “We want to build a robust organisation so that when opportunities come up that suit us we’ll be in a position to take them. We don’t want to join a league and go bust at Christmas - we’ve had that before in Edinburgh. We’re in this for the long haul and people need to realise that. There is a lot of work still to be done. 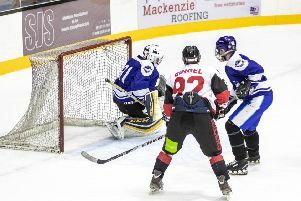 Racers found it tough in this year’s NIHL North Cup, winning just one of their 12 games in the home-and-away round robin tournament against semi-professional opposition but, along with Dundee Comets, they have already committed to next year’s competition. Racers, already crowned SNL champions, and with two cup final dates to look forward to, are huge favourites to advance to next week’s play-off final weekend at Dundee Ice Arena, following tomorrow’s Stingrays clash (face-off 6pm), a team Racers have beaten 15-2 and 18-0 in their two previous encounters this season. “Of course were heavy favourites,” said Dunn. “But this is a one game knockout.